Being overly dominated by emotions can either be a good thing or a bad thing, especially when it comes to life altering decisions such as love and careers. The good thing about being too emotionally involved is that you tend to understand yourself much more than others do, and at the same time this gives you enough insight to feel empathic towards individuals of the same or almost same nature. The Cancer Zodiac Sign is one of the star signs that can be completely dominated by his or her emotions, but can also give out care and love to those he or she comes in contact with. The Cancer Zodiac Sign has a very unique origin in mythology. During the 12 tasks of the famous hero Hercules, Hera was constantly making sure that he would face failure by sending out different means of distraction to the demigod. When it was time for Hercules to kill the giant monster Hydra, Hera decided to try to distract Hercules by sending a measly crab in his direction. The crab was able to pinch Hercules’ toe, which in turn prompted the great hero to crush the crab under his foot. Impressed with this act of bravery, Hera decided to turn the crab into a constellation. The crab is mainly a water creature, and it is also nocturnal in nature with a really hard shell to protect itself from external elements and pinchers to defend itself from its enemies. The Cancer Zodiac Sign can definitely be attributed to the crab, being that it is also a water dominated zodiac sign and at the same time the general attributes of a crab has certain similarities to the protective nature of a Cancer when it comes to his or her emotions and loved ones. Responsive. Another term for being empathic, a Cancerian can definitely feel the surge of emotions present in the environment especially since he or she also has an excess of emotions dominating his or her personality. A Cancer can also verify which emotions to display because of their sensitive nature. Highly Adaptable. As with the above trait, being adaptable to the environment is one of the strengths of a Cancer. The patience of the crab definitely puts this into play, especially since the crab can completely feel comfortable and adapt to any environment he or she transfers to. This might not happen a lot, but it will surely help a Cancer if the situation calls for it. Over-protective. There are time when being over-protective can be very flattering, but there are times when it can be quite restrictive and might cause a lot of problems. There are a lot of Zodiac signs who are base on freedom and are adventurous, and they will definitely stay away from a Cancer’s over-protectiveness. Oversensitive. This is the absolute bane of the Cancer Zodiac Sign. If they let their emotions run rampant, they tend to throw reason out the window and concentrate on how they feel about anything, regardless if it is right or wrong. The horoscope astrological signs dominated by the water element usually get along well with each other because they are mostly dominated by free flowing emotions and are all highly adaptable. Water is adaptable and malleable, and it follows the form of whichever external element it comes in contact with. Cancer is very similar to water, because individuals under the sign are very adaptable and patient, but the main difference is that they tend to allow changes only by their own terms and only if they can control it. 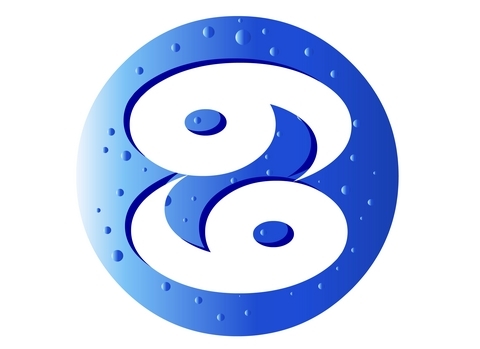 Water element dominated horoscope signs are also known to be highly intuitive, caring and above all else nourishing. These traits can be misunderstood by many as being too possessive, but that is far from the truth as well. Because the Cancer Zodiac Sign is extremely sensitive to emotions, this makes them very receptive to his or her environment, which makes them the perfect “shoulder to cry on” whenever anyone needs it. Being governed by the moon can be very difficult to an emotionally charged individual, especially to a Cancer who seems to let his or her emotions run unchecked. The moon can cause the emotions of a Cancer to be quite unpredictable and unstable, and this is especially made more difficult by the excess in emotions of a Cancer. One of the most dominant factors that being dominated by the moon contributes is your high maternal nature, which can provide the proper care and nurturing in proper amounts. Unfortunately, the excessive nature of being possessive can prove quite troublesome, especially since a Cancer can hover too close to the person he or she wants to take care and protect. Generally speaking, the Crab is most compatible with the zodiac signs dominated by the element of Water and Earth, and can be at complete odds with those horoscope astrological signs dominated by Fire and Water. Because of its emotional characters and traits, the Cancer Zodiac Sign can also go both ways when it comes to compatibility with itself as well as the sign’s polar opposite which is Capricorn. The Cancer Zodiac Sign can be both compatible and incompatible to the zodiac signs of Cancer and Capricorn. The variable compatibility only means that the relationship can go either way and will completely depend on the individuals in question. It might be a matter of compromise or personal adjustment. The good thing about these matches is while the relationship can go completely wrong; it can also be one of the best unions in the world, depending on the circumstances. It is already a well known fact that out of all the horoscope astrological signs, Cancer is the most emotional. So emotions can make or break a Cancer and Cancer relationship: it can either head to a very positive route because they completely understand each other’s emotions and temperaments or it can go horribly wrong if they let both of their emotional sides dominate any type of situation. Difficulty in the relationship can start if either party gets too emotional, because very strong emotions completely cloud an individual’s judgment. Because of their overly sensitive nature, both crabs can end up hurting each other so much that they might be wondering when the next emotional strike will come. On the other hand, they can also be very patient with each other. The good thing about this relationship, especially if one can be more assertive than the other, is that they can definitely make this work especially since they can both make each other extremely happy. The Cancer Zodiac Sign has a very unique relationship with a Capricorn. These two horoscope signs are completely opposite each other based on symbols of horoscopes, which explains their variable compatibility status. The main thing about the Capricorn that a Cancer completely respects is the Capricorn’s goal and career priorities. Capricorns can also project certain emotional tendencies, but in a very introverted way, which a Cancer can definitely help with. This relationship can completely go sour because of the way they let their emotions work: Capricorns rarely let their emotions show, but a Cancer is extremely emotional and sensitive in nature. The Capricorn’s complete indifference when it comes to emotions can definitely hurt a Cancer, which will lead to the failure of the relationship. Generally speaking, water based astrological signs such as Cancer is compatible with earth dominated elements such as Virgo and Taurus. 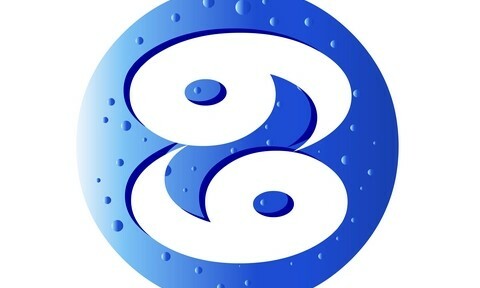 Water element dominated signs such as Pisces and Scorpio also agree well when it comes to a relationship with a Cancer. The star signs of Virgo and Cancer are perfect for each other because of their fitting personalities. Virgo is known to be a complete perfectionist when it comes to everything, and most of the time it will take time to finish the task at hand, which a very patient Cancer will completely understand. Virgo is also extremely patient, and the patience shared with Cancer can definitely take you places. Virgo is also known to be a really good communicator, and anything that he or she communicates with a Cancer will definitely be appreciated. Because of this, Virgo will more likely find ways to explain a certain situation to a Cancer without hurting the oversensitive feelings of the crab sign. One thing to watch out for is that a Virgo can be hyper-critical, a trait brought out by being a perfectionist. The sensitive and emotional Cancer might take the attention to detail and perfectionism of the Virgo in a very wrong way which can lead to strains in the relationship. There are no two signs on the symbols of horoscopes that can get along as the signs Cancer and Scorpio. Much like why the Cancer Zodiac Sign can be compatible to its own sign, Scorpio can easily understand a Cancer because of the wealth of emotions in the relationship. They are both overly sensitive to each other’s emotions that they work harmoniously in keeping each other satisfied and in check. They are also both very possessive, and they flatter each other with each other’s jealousy and possessiveness. The passion and energy of the Scorpio will stop the relationship from being boring, and at the same time the generosity and sympathetic nature of a Cancer will definitely curb any emotional need of the Scorpio. Out of all the zodiac signs, Pisces is the one who needs care and understanding most, and this is the reason why a Cancer will be a perfect fit, because they love giving care and affection. All the necessary care and affection that a Cancer can give will definitely spoil the Piscean, and both can actually live harmoniously especially if they let their emotions dominate. The main concern with this relationship is the future, because A Piscean lives in the moment and can completely disregard the future, with the Cancer completely going along especially if the Cancer wants to placate the emotional tendencies and the neediness of a Pisces. The astrology signs of Taurus and Cancer both have a lot of things going on for them, and most of them are towards a very harmonious relationship with each other. Being dominated by Earth, Taurus can be really stable and faithful, all of the qualities that can be completely appreciated by the Cancer Zodiac Sign. Both astrological signs are also very firmly rooted when it comes to finances, and with the stability that a Taurus brings coupled with the patience of the Cancer, their relationship will not only be financially rich, but also emotionally rich. The star signs Leo and Cancer do not have a lot in common. While this relationship can work, most of the time it really doesn’t. Never mind if both Leo and Cancer belong to horoscope sun signs, there are too many inconsistencies when it comes to personal relationships when it come the two signs. Leo can be proud and boastful which can definitely hurt a Cancer. Leo will definitely appreciate the care and affection readily given by a Cancer, but the need to be right all the time especially through any means necessary will always dominate the emotions of a Leo, which will definitely affect a Cancer. Although both horoscope astrological signs are very ambitious when it comes to career, this relationship can prove to be very disadvantageous to the oversensitive crab. Aries can be very frank and sarcastic all the time which will definitely be abrasive to the emotions of a Cancer. Even though hurt, a Cancer might still try to placate an Aries by simply giving the care and emotional support that the Aries needs, but most of the time all of the support goes unnoticed or unreturned, which will leave the Cancer longing and wanting for more from the relationship. This kind of relationship will prove to be quite unhealthy to the Cancer, and therefore must be avoided. If you are wondering about horoscope signs flighty tendencies, then you should definitely look into the traits of a Sagittarius. The free spirited and flighty mind of a Sagittarian will scare of the emotion and possessive dominated mind of the Cancer. The Cancer Zodiac Sign really needs stability, which will definitely get lost when it comes to the freedom and adventurous side of a Sagittarius. Not only that, but because of the need to always be mobile and free, Sagittarius will feel choked and limited by the restrictions of a Cancer, which can definitely result to some uneasiness in the relationship. Traits that typically do not mix are emotions and reason, and for the most part the zodiac signs of Aquarius (dominated by reasoning and fact) will find it hard to understand the musings and emotional anchors of a Cancer (dominated by emotions and feelings). Most of the decisions made by a Cancer are through intuition and which can seem very weird to the Aquarian who loves to analyze every situation and possibility first before making a choice. Because of the habit of Aquarius to let reason dominate, they might seem a little cold and distant to the warm and loving Cancer. The horoscope signs of Gemini and Cancer will never get along as far as emotions are involved. Gemini is too flirtatious for the very possessive Cancer, and any type of restriction placed on the Gemini will seem too limiting, which might be the cause of relationship problems between the two. Being extremely busy, a Gemini can also leave the Cancer feel neglected because a Gemini will always look for stuff to do and places to go. Cancers are also not very adventurous, while a Gemini will also go looking for that certain “spice” and “thrill” in life. The adventurous side of a Libra will never be understood by the stability loving Cancer. Most of the time, the horoscope astrological signs of the two will completely be at odds with each other because of their differing qualities, especially since a Libra will always try to look for care and affection elsewhere, even though a Cancer is willing to give all of the attention he or she needs. Libra is also all about balance and will definitely feel disturbed with the way a Cancer will always have excess emotions and feelings. Libra also tends to be quite independent, which will be quite jarring to the Cancer because this will make them feel unwanted and not needed most of the time.